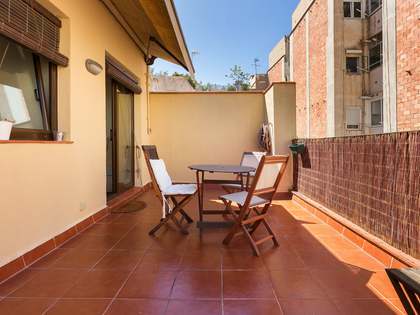 This 34 m² penthouse property with a total of 74 m² terrace space enjoys a great location on a very peaceful street with direct access to the Mestre Balcells Gardens. It is just below Travessera de Dalt and Plaza Lesseps, in the Gracia neighbourhood. 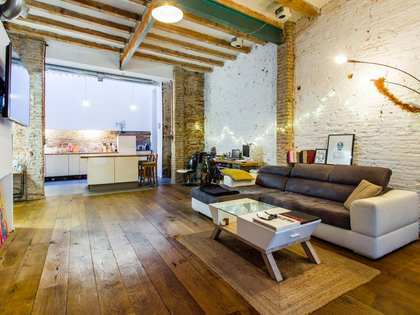 The penthouse has an open plan living, dining and kitchen area with 1 bedroom and 1 bathroom. 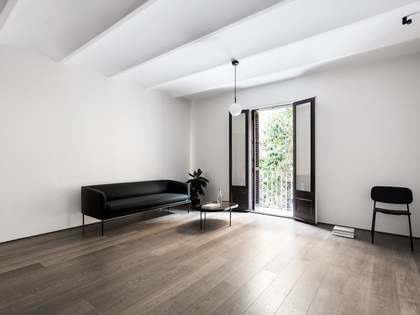 There is a terrace of approximately 6 m² leading from the living room which overlooks the interior block patio and another of approximately 34 m² facing the street and a dual aspect sun terrace of approximately 35 m² on the third floor which can be reached via stairs. It is located within a stately building with just 1 property per floor: a ground floor apartment, a first floor property and this second floor penthouse. All 3 properties shall be fully renovated and It is also possible to purchase the entire building with a total of 3 apartments; one on each floor. Please ask a Lucas Fox agent for further information. An ideal, newly renovated lifestyle property or pied-a-terre for a couple or single professional. 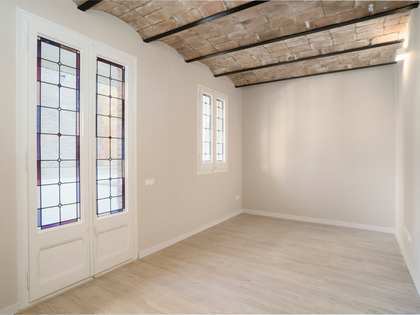 Penthouse property located on a very peaceful street with direct access to the Mestre Balcells Gardens. 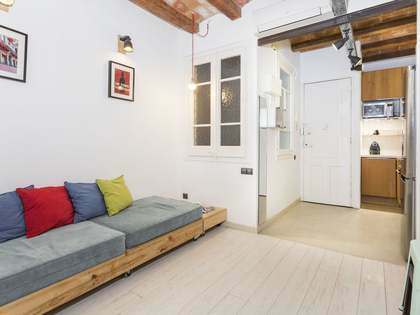 It is just below Travessera de Dalt and Plaza Lesseps, in the Gracia neighbourhood, which means that it is very well connected to the rest of the city and to the airport in the future, both by public and private transport.